Labor day weekend, came and went. Storms rolled through gave us some much needed rain. 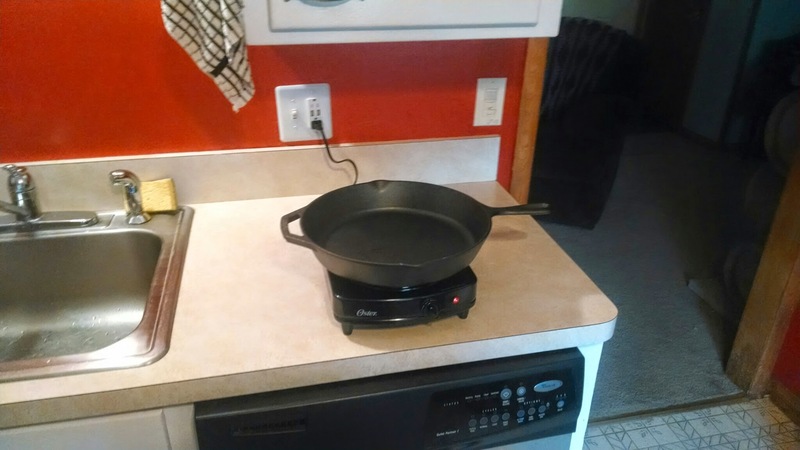 I bought my first cast iron skillet this weekend. Seasoned it and cooked bacon in it. No better way to break in a new pan than some bacon. The next thing I want to add to my kitchen toolset is a nice chef’s knife. I have been looking for one for a while. I have been reading up on the different metals used in making them the cons and pros of each. The different styles of handle grips. However what I have learned is every chef has their own preference and there is no right combination you just have to try them out until you find the one for you. Another thing I did this weekend was make some pork steak. 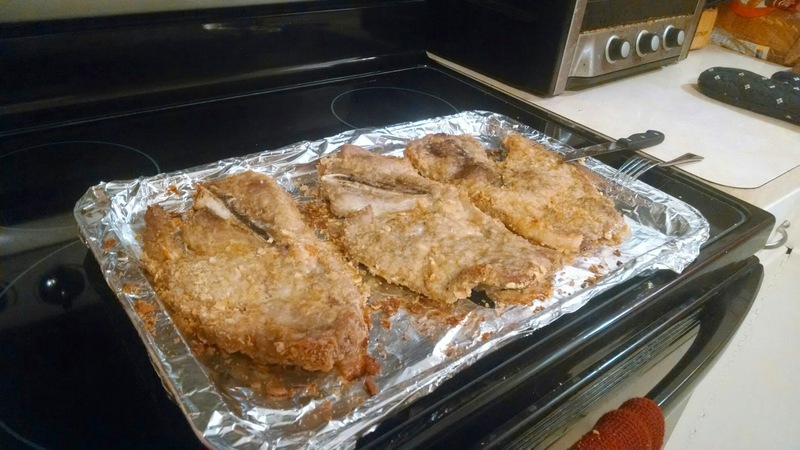 Growing up I loved it when mom would make pork steak as it was my favorite and since moving out and living on my own I have never been able to make it quite the same. I love cooking and baking. In the last year I have decided to take a different path in my cooking. Instead of trying to copy and come up with the same thing I decided to make it my own. My version that I can stand behind and know it’s good. Nothing ever taste like it does as you were kids. So I sat down looked at some different recipes and consulted my mother on the time to leave the steaks in the oven. And this is what I came up with. Whisk eggs, milk, and garlic powder(optional) together then pour into pie plate or like container. Crush crackers. (I do this by putting crackers into a ziplock bag and then use a rolling pin or your hands) Then pour crackers into a separate container. Season the pork steaks with salt and pepper. Dip in the egg and then dredge in the crackers, making sure they are coated well on each side. Put onto a baking sheet (Do not cover) Bake in oven 30-40 minutes flipping the steaks at the half way mark.